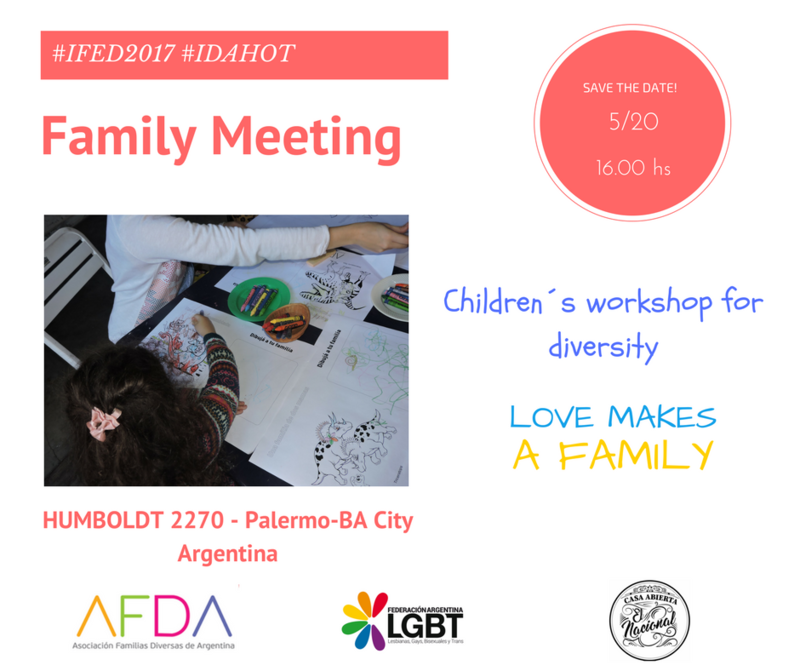 To celebrate #IFED and #IDAHOT we are going to held an LGBTIQ family meeting . It is an opportunity for LGBTIQ parents, foster families, prospective parents, and other possible forms of families to meet, explore and share concerns, and support each other. Also will be doing our ​Children´s workshop for diversity. In this space volunteer artists join us to work with children to strength their social, emotional and developmental well-being through different cultural activities such as painting, crafts, dancing, storytelling, etc., exploring family diversity.